20/11/2012: Galaxy S4 rumours start, an 8-core ARM chip on the way from Samsung, Skype updated for Android tablets and much more! 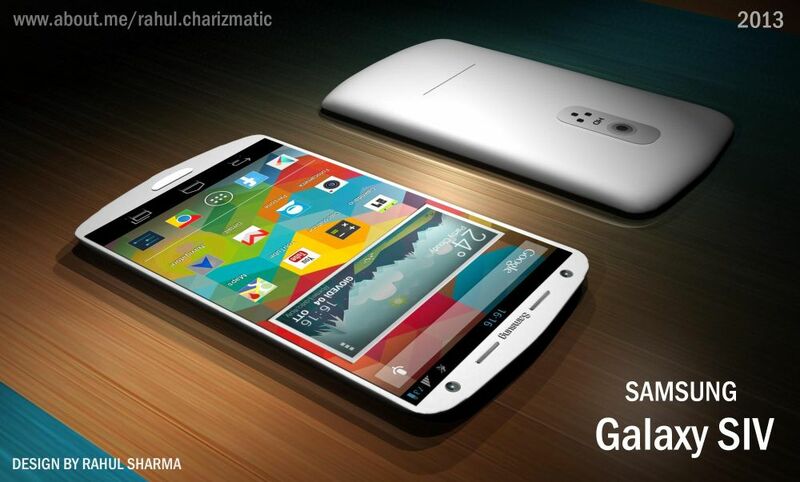 Samsung Galaxy S4 rumoured for a release early next year with a healthy spec upgrade. As with every highly anticipated new phone the rumours start early. A mere seven months after the Galaxy S3 was made official the rumour mill is firing up again to get to work on Galaxy S4 details. At the moment the only thing we can be relatively certain of is that it will not be released in February, as some rumours have repeatedly said, because Samsung issued a statement a while back explaining that the rumours were simply 'not true'. So with that being said we feel like this one should be taken with a pinch of salt, because the release date is wrong from the off. But, the specs on the other hand do seem like they could be legitimate or at the very least similar to what we end up seeing. The rumour says that there will be a 4.99" 1080p Super AMOLED screen which works out at 441ppi, the Exynos 5450 quad-core Cortex-A15 chipset clocked at 2Ghz and a 13MP rear camera. The screen and processor are certainly plausible and a camera upgrade is almost a banker! Both the Galaxy S2 and S3 have shared 8MP sensors and bearing in mind the 13MP sensor, which would have been in the Galaxy Note II had Sony been able to produce enough of them, we see no reason for that to be contentious. Is there anything else you'd like to see? Let us know in the comments below! Samsung is working on an 8-core ARM chip! Every now and then you hear things which make you go wow and this is one of them, because it's slightly ridiculous given our expectations of mobile processors at the moment. We must admit the title is somewhat misleading; yes this chipset will have eight cores but it's not all as it would seem. Instead the processor is a 'dual quad-core' processor; so essentially it's got two quad-core processors stuck together! ARM are the brains behind the design which they chose to name 'big.little', although we're not entirely sure quite what it's named after. The layout itself is meant to 'combine the light-load battery life of a high-efficiency quad-core 28nm ARM A7 chip with a super-hi-po A15 processor for heavy lifting.' So that means that the energy-efficient part consists of a quad-core ARM A7 chip working at the respectable speed of 1.2GHz. The one which will burn the battery out will be a quad-core ARM A15 chip runnning at 1.8GHz! That will have no problem running ShadowGun X on Nexus 10 quality screens! Naturally this will be an Exynos chipset if Samsung decide to do anything else with it, other than show it off at the International Solid-State Circuits Conference in February. This may well be the very first you have heard about the future of your tablet and phones! ARM itself has said the "big.little" project is delivering benefits beyond those expected when the architecture was initially announced, and Samsung's chip should be the first on the market based on the concept. So yes, this will be a new Exynos of some sort. Skype for Android has finally been updated to work much better on tablets! Check out the full video below for a little demonstration! From today Sony will be applying a nice little discount of 90% to people who currently have a Playstation Plus account. That brings the cost of a year's subscription down to $12! There's also a reduction for standard PS3 owners, although your offer isn't quite as spectacular; a year subscription will set you back $59.99, which is still a lot better than the normal $12 a month cost! Here maps (formerly Nokia maps) is now officially available for iOS as an app! Hit that search button on your app store! CNet has reported that iPhone 5 delivery times are starting to come down. At the moment they're down to 2 weeks, so Apple is slowly getting closer to meeting demand! And finally, the guys over at Clove have just celebrated their 20th birthday! We're just approaching our first birthday so that puts it into some kind of perspective! To celebrate they're running a huge give away. There's one main prize and numerous smaller prizes which will be given away each day for the next ten days, as a way of saying thank you to everyone who supported them. Head over to their website to check out the competition and say happy birthday! You never know you might come away with more than you bargained for!